Its plan splits only 13 counties. Of those, four counties are split into three districts and nine are split into two districts. 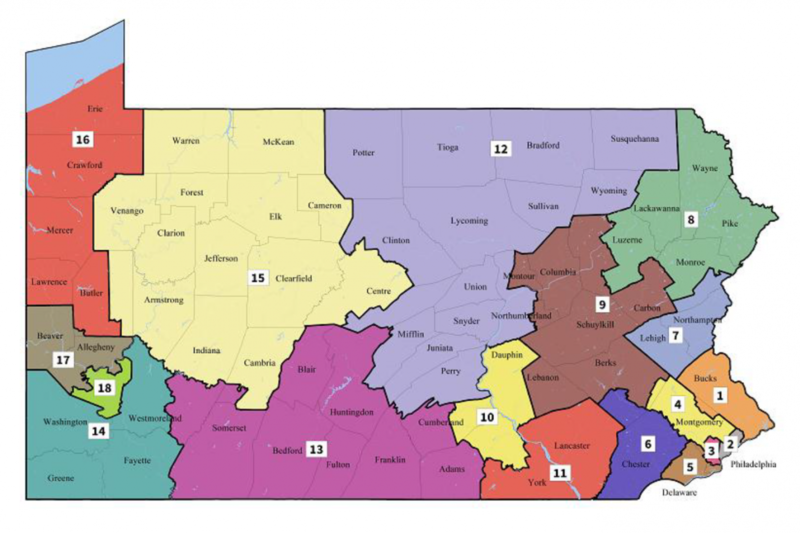 It also includes significant changes to the state map, including dividing Philadelphia into only two congressional districts; currently three House members represent parts of the city. By contrast the most recent map, enacted in 2011, split 28 counties. “The Remedial Plan is superior or comparable to all plans submitted by the parties, the intervenors, and amici, by whichever Census, provided definition one employs,” the court wrote in its order.